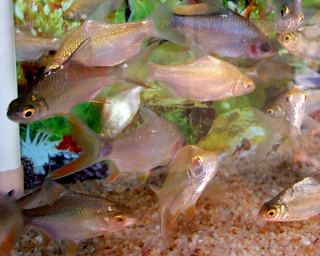 Tinfoil Barb is a schooling fish and a nice addition to large aquarium with other peaceful big fishes. 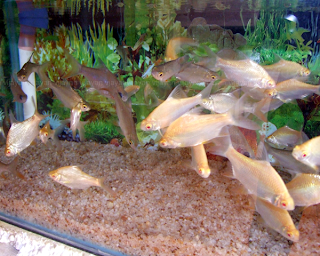 They are very active fish which occupies mostly the mid level of an aquarium. Peaceful. Better to place them with fish of same size or larger size. No physical difference by appearance. Not Known exactly, But Bread Commercially so it will be easy with a group of fish in a sightly acidic water environment.